Popular Lithuanian Recipes, 1955, 1967. As-if-new condition. Popular Lithuanian Recipes: Popular Lithuanian Recipes was first published in 1955. This copy is from the 1967 fourth printing. 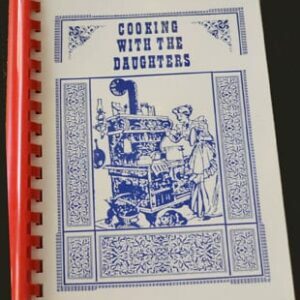 The recipes were compiled by Josephine J. Dauzvardis. Published in Chicago, Ill. by the Lith. Cath. Press. Plastic comb binding. Heavy paper cover. Printed on heavy, high quality paper. Clearly written recipes that include the Lithuanian names. Includes special condiment recipes, like Toasted Hemp-Seed Salt. Also includes a long list of traditional holiday foods, including for a traditional funeral dinner and for traditional Lithuanian weddings! Mint condition. Gift quality! vintage cookbooks, including Popular Lithuanian Recipes!